KYBELLA® (deoxycholic acid) injection is the first and only FDA-approved injectable treatment that is used in adults to improve the appearance of moderate to severe fat below the chin (submental fat), also called, “double chin.” It is not known if KYBELLA® is safe and effective for use outside of the submental area. Dr. Khan is one of the first plastic surgeons in the region to offer this excellent treatment. 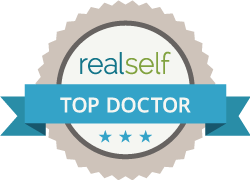 In addition to his expertise in Kybella and Laser Treatments, Dr. T.G. Khan is an also an expert in filler injections to lift cheekbones and to fill and plump the lips, smile lines and droopy corners of the mouth. His gentle technique softens wrinkles of the forehead, crow’s feet, vertical lip lines and acne scars . He utilizes the unique properties of Juvederm, Restylane, Restylane Lyft (formally Perlane), Belotero, Radiesse, Xeomin and can use liposuctioned fat to plump, lift, and fill in areas of volume depletion to rejuvenate the face, neck, hands, and buttocks.